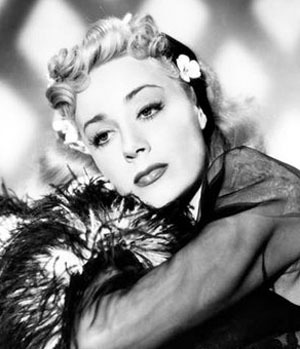 June Havoc, best known as the younger sister of stripper Gypsy Rose Lee, died Sunday of natural causes at her home in Stamford, Conn. She was believed to be 97. The original 1959 stage production of Gypsy had music by Jule Styne, lyrics by Stephen Sondheim and book by Arthur Laurents. Ethel Merman starred as the indefatigable mother of June Havoc (“Baby June”; later, “Dainty June”) and Gypsy Rose Lee, from the time Baby June was the family's star to Gypsy's rise to fame as an adult performer. Directed by Mervyn LeRoy, the 1962 movie version starred Rosalind Russell as Mama Rose and Natalie Wood as the adult Gypsy. Morgan Brittany played Baby June and Ann Jillian was the older “Dainty June,” who runs off with a boy in the film, never to be seen or heard from again. June Havoc was born June Hovick on Nov. 8, 1912, in Vancouver. (Or so the actress believed; her mother carried various birth certificates to ensure Baby June wouldn't be breaking any state child labor laws.) A popular and well-paid (reportedly $1,500 a week) vaudeville child performer, June eloped in her mid-teens. As she grew older, her vaudeville career collapsed. The Great Depression didn't help matters any, as jobs grew scarce. Things began to turn around in 1936, following a successful appearance in the Broadway production of Richard Rodgers and Lorenz Hart's Pal Joey. Havoc later went Hollywood, working in about two dozen movies from the early '40s to the mid-'50s. Most notable among those are My Sister Eileen (1942), supporting Rosalind Russell and Janet Blair; the backstage drama When My Baby Smiles at Me (1948), starring Betty Grable and Dan Dailey; and the Alan Ladd-Donna Reed film noir Chicago Deadline (1949). For the most part, both her film roles and performances were negligible. Although she played leads in minor fare such as Intrigue (1947), with George Raft, and Lady Possessed (1952), with James Mason, her best remembered role is that of Gregory Peck's Jewish secretary who tries to pass for a Gentile in Elia Kazan's Academy Award-winning drama Gentleman's Agreement (1947). June Havoc was much more successful onstage. Among her most important Broadway productions were Cole Porter's Mexican Hayride (1944); Sadie Thompson (also 1944), replacing Ethel Merman in this musical based on W. Somerset Maugham's short story “Rain”; That Ryan Girl (1945), in the title role; and a revival of Dinner at Eight (1966), as the society hostess played by Billie Burke in the 1933 George Cukor film. Havoc's last Broadway appearance was in the early 1980s, playing Miss Hannigan in Annie. Havoc also wrote several plays, including Marathon '33, based on her marathon dancing during the Depression years. The play earned her a Tony nomination for Best Director, in addition to a Best Actress nod for star Julie Harris. Havoc's two books of memoirs were Early Havoc (1959) and More Havoc (1980). In 2003, a 99-seat Off Off Broadway performance space in an office building on West 36th Street was renamed the June Havoc Theater. Havoc and Gypsy Rose Lee (a.k.a. Louise Hovick) became estranged following the publication of Gypsy in 1957. The two sisters reportedly made amends at the time of Lee's death from cancer in 1970. Based on Henry Farrell's 1960 novel, What Ever Happened to Baby Jane? (1962) has some curious similarities to the June Havoc-Gypsy Rose Lee rivalry story. In Robert Aldrich's film (adapted by Lukas Heller), Bette Davis plays Baby Jane, an aging, former vaudeville child star whose career went downhill after she outgrew her curly persona. Jane's nemesis is her invalid sister, Joan Crawford, a nobody as a child, but a major movie star as an adult. Hi, I'm the author of MAMA ROSE'S TURN, which is the first full biography of Gypsy and June's mother, Rose Thompson Hovick. When I started fact-checking EARLY HAVOC while doing research for my book I found that just about everything June had said about her family was a lie. I have never seen such strange lies before, either. She lied about how several family membes died, just to make them look dysfunctional. Bizarre! It makes the idea that she may well have inspired the character of “Baby Jane”quite plausible.